Training is an enabler of the business, a strong support of good individual, team, and organizational performance. How do you know your training team is doing well? Find out how to measure learning and development effort results objectively in this Bay Hewitt program. So what is the ROI on training? Did your investment and effort pay off? Many training programs go on and on and the entire company has no visibility on the actual effect and impact it had on the organization. Did the Supervisory Skills Training that your supervisors and team leaders attend pay off? Was the Conflict Management Program that different department heads went to effective? More often than not, money goes down the drain because organizations and trainers don't know how to account for the Return of Investment (ROI) in training. 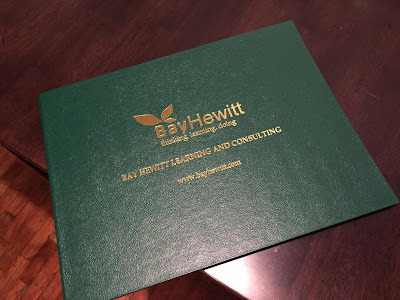 Bay Hewitt can help your trainers look for the value of learning and development so your entire team can appreciate it. In this session, learn how to systematize Learning Effectiveness Evaluation through Kirkpatrick’s Levels of Evaluation and ROI calculation. You can never be truly proud of your training programs and completed learning sessions until and unless you are able to show the link between your programs and the business objectives of your organization. Sure, people felt happy about attending a program but your executive stakeholders will be more interested on the effect and impact it had on your business results. As a training practitioner, now is the time to show some “science” behind the ROI of learning and development. For those wishing to learn or improve their learning effectiveness evaluation know-how, this is the program for you. If you are a trainer, training supervisor, training manager, senior manager or teacher looking to show the correlation between the success of your program and the results that your organization is enjoying, this is the learning session that you need to attend.